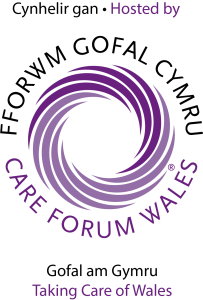 The awards, run each year by Care Forum Wales, are considered the health care Oscars as they honour men and women delivering the highest standards of professionalism in their field. Mario Kreft, Chair of Care Forum Wales, said Zowie was just one of the deserving winners who the judges took their hats off to for their unrelenting commitment to helping others. The awards were presented during a glittering ceremony and dinner to which all the nominees and their guests were invited. The evening was compered by well known opera singer Wynne Evans, aka Gio Compario from the television adverts for Go Compare insurance group. 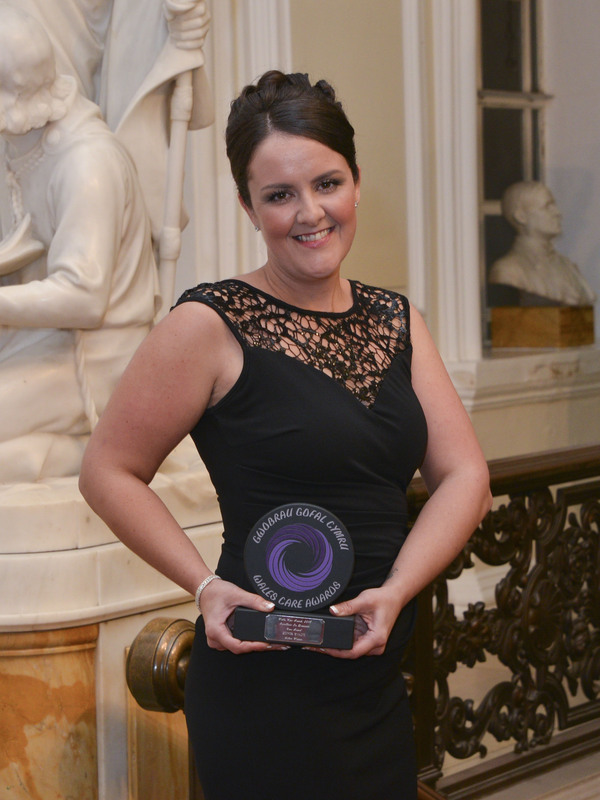 Mum of two, Zowie, 34, was not aware until the night itself that she was to receive a coveted silver distinction, having previously said the news that she had even been nominated for a Wales Care Award was a complete surprise to her and one of the proudest moments of her life. Her husband Dale and family are over the moon that she was honoured after she put in years of work studying to gain her care management qualifications, often researching late at night after her children, Jade 14 and Lily, six, had gone to bed. She would regularly do an eight hour shift at work and then go home, have tea with her family and once they were settled she studied full on, sometimes for several hours. During 16 years working in the care sector Zowie, from Trecynon, Aberdare, had already gained her Levels 2 and 3 health and social care qualifications. But despite working full time and having a busy home life with her young family she determined to go even further to attain a Level 5 status in leadership and management. As a result Zowie was recently promoted to the role of deputy manager of the Elderly Mentally Infirm Unit at the 78-bed Ysguborwen Care Home, Llwydcoed, Aberdare. Her boss, Ysguborwen Care Home manager, Debbie Strong, said she and her team had no hesitation in nominating Zowie for a Wales Care Award and were thrilled that she had been presented with a prestigious Silver. She added that Zowie is not only an excellent practitioner herself, but she is also a valuable mentor to colleagues, fully supporting them and guiding on how to deliver excellent standards of care. In addition Zowie’s bubbly personality, enthusiasm and professionalism endears her to all the care home residents. Her devotion to them is such that she said her patients are rarely off her mind. Even when she goes home after her shifts she still thinks about ways she can help with their welfare and she makes sure fellow staff know she is always available for them to call or seek out for advice. The Wales Care Awards are a highlight of the social care calendar. Run yearly to pay tribute to unsung heroes and heroines across Wales, they showcase best practice in the care sector and recognise the hard work and dedication of the social care workforce. The Excellence in Dementia Care category was sponsored by FISC Healthcare. Mr Kreft, who has worked in social care for 25 years and, with his wife Gill, runs Pendine Park care organisation in North Wales, said the standard of entries was extremely high. He said: “This awards ceremony is our opportunity to pay tribute and to celebrate the talent and commitment that is improving the quality of life for thousands and thousands of people throughout Wales. There are only winners here tonight so it is only fitting that the finalists will receive a gold, silver or bronze Wales Care Award.